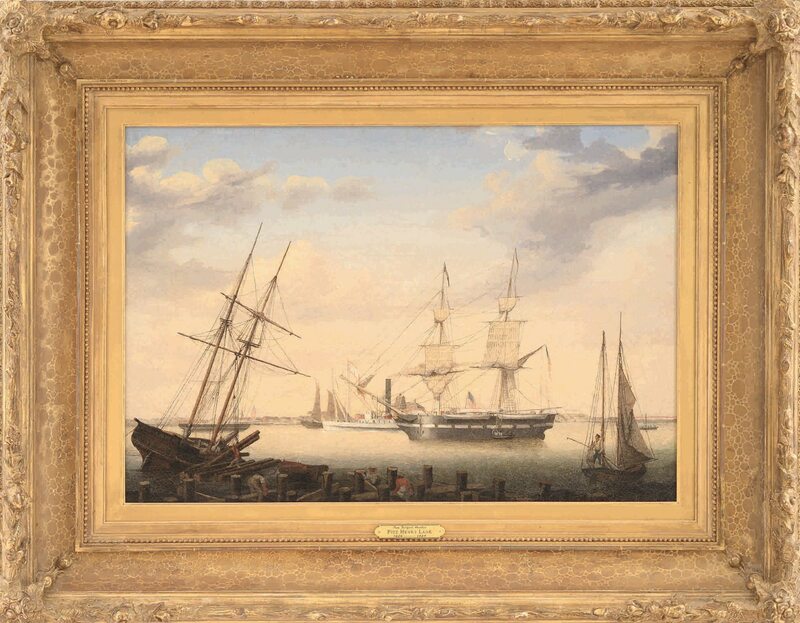 An unsigned oil on canvas painting by Fitz Henry Lane, depicting New Bedford Harbor and housed in a lovely Eli Wilner & Company frame, sold for $296,250 at a Fine Art, Antiques & Asian Auction held August 24-26 by James D. Julia, Inc., in Fairfield, Me. 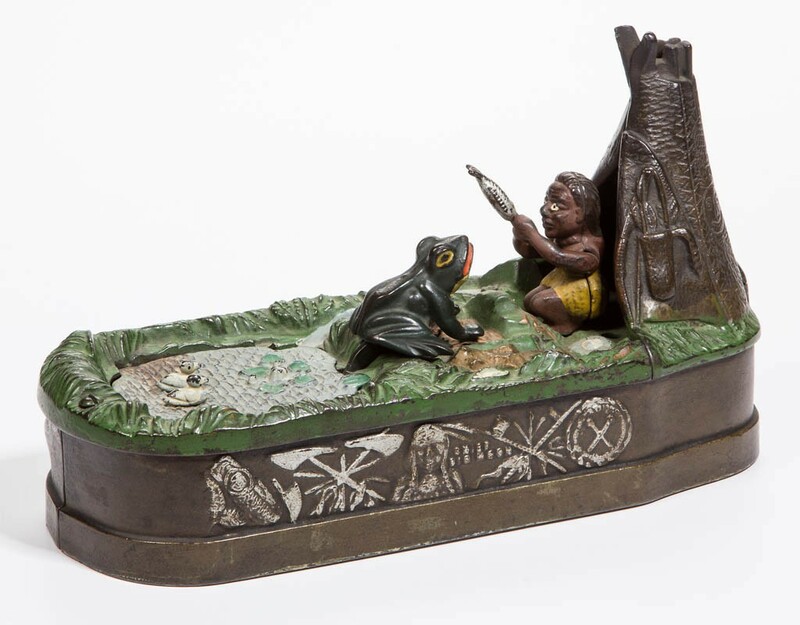 Also, Edward Willis Redfield's River Decorations soared to $148,125; a pair of porcelain plaques by Wang Dafan sold as one lot for $118,500; Andrew Wyeth's River Greys fetched $66,953; and Abbott Fuller Graves's A Hot Shoe rose to $41,475. Prices include an 18.5 percent buyer's premium. 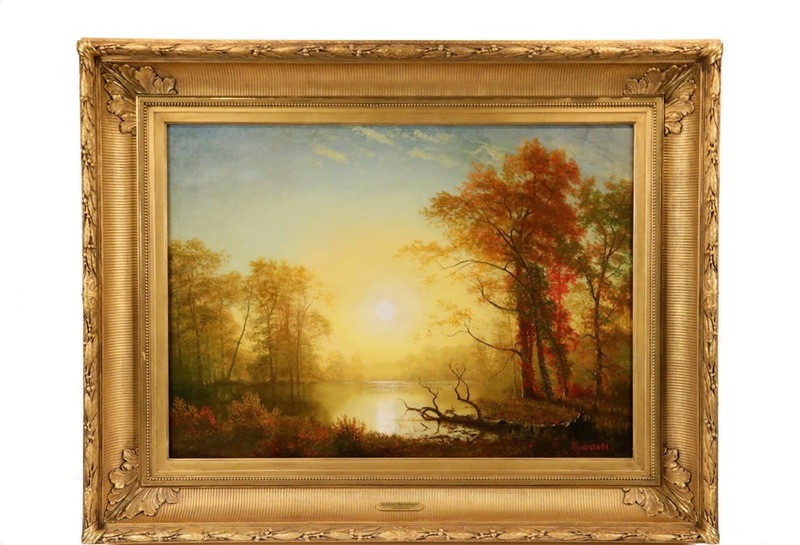 A luminist painting by Albert Bierstadt (Am., 1830-1902), titled Sunrise, sold for $386,100 at an auction held Aug. 27-29 by Thomaston Place Auction Galleries in Thomaston, Me. Also, a seascape work by Alfred Thompson Bricher (Am., 1837-1908), titled Near Cape Elizabeth, Portland, Maine, realized $175,500; On the Hudson Near Tappan Zee by Francis Augusta Silva (N.Y., 1835-1886) brought $163,800; and Conanicut Island, Rhode Island by William Trost Richards (Am., 1833-1905) hit $117,000. Prices include a 17 percent buyer's premium. A Big Chief Moon cast-iron mechanical bank sold for $2,340 at a Variety Auction held Aug. 27 by Jeffrey S. Evans & Associates in Mt. Crawford, Va. Also, an Ohio Art Company paint-decorated tin parade jack-o-lantern changed hands for $2,223; a Roseville Della Robbia vase lamp got snapped up for $2,340; an 1887 Kalamazoo Bats Bobby Matthews baseball card hammered for $1,989; a Christo Cherry glass syrup bottle knocked down at $1,404; and a Safe penny bank with the original paint went for $994. Prices include a 17 percent buyer's premium. 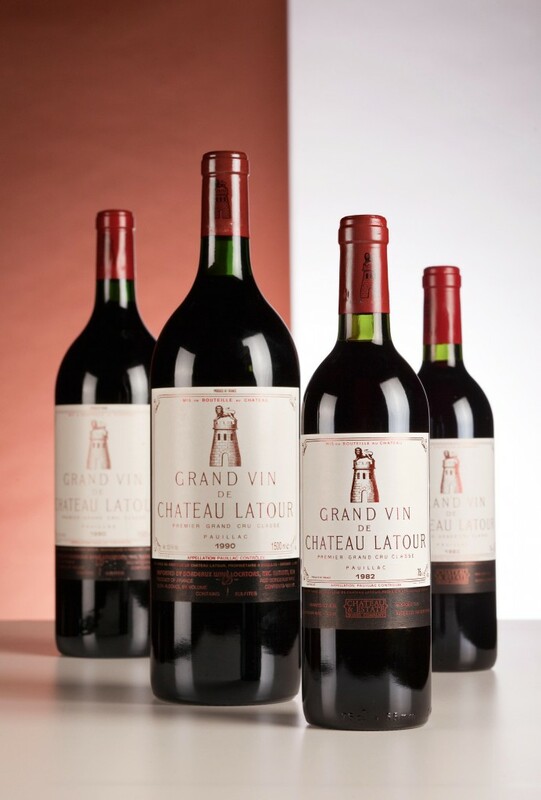 A case (12 bottles) of 1982 Chateau Latour wine sold for $25,128 at a Fine Wines Auction held Sept. 3 by Sotheby's in Hong Kong. Also, six bottles of 2009 Le Pin fetched $21,987; a case of 1975 Chateau Petrus went for $20,417; a case of 1989 Chateau Haut Brion realized $18,846; three magnum bottles of 2005 Chateau Petrus climbed to $17,276; six bottles of 2009 Chateau Petrus made $17,276; six bottles of 2010 Chateau Petrus finished at $15,705; and 12 bottles of 1986 Chateau Lafite garnered $14,135. Prices include a 22.5 percent buyer's premium. 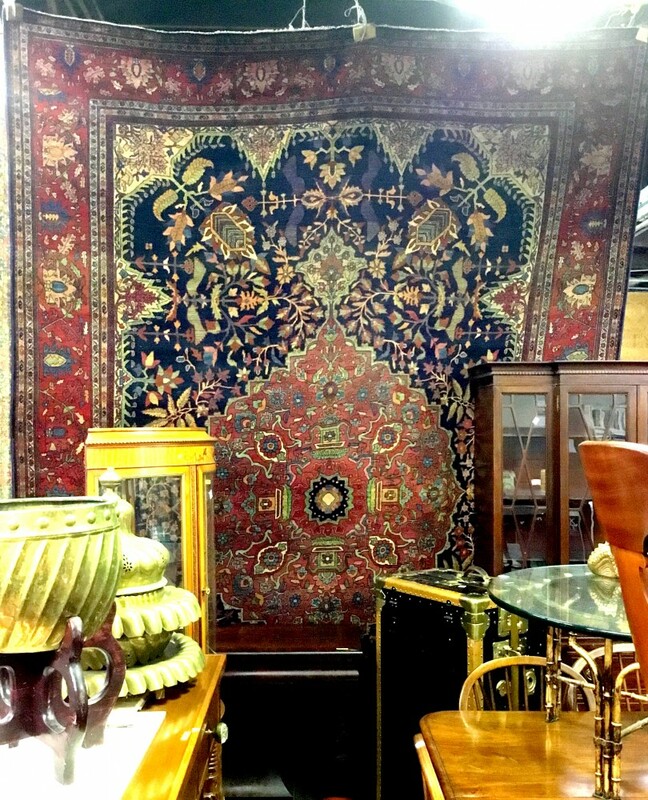 A 9 foot by 12 foot red, blue and green Farahan Sarouk Persian rug made in western Iran (Arak) and boasting a beautiful center medallion, intricate floral patterns and a rich, tightly woven pile sold for $5,463 at an auction held Aug. 23 by Direct Auction Galleries in Chicago, Ill. Also, an 18kt gold Piaget men's automatic watch with an 18kt band brought $3,450; a landscape painting with figures by German painter Ludwig Muninger (1929-1997) made $1,265; and a 19th century French bronze chandelier rose to $1,495. Prices include a 15 percent buyer's premium.